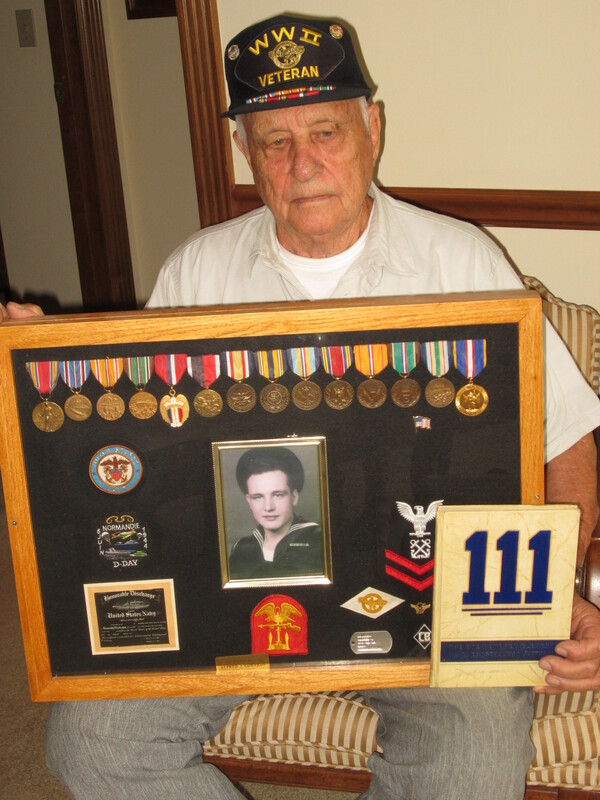 Al Edwards served as a Seabee during WWII. I’m thrilled for this exciting day to finally be here! Two events are happening that will result in more people knowing about our World War II vets and ways they can honor them. First, I’ll be speaking about my interviews with WWII vets to a group called LIFT (Living Information for Today). It is sponsored by Dignity Memorial for people who have lost a spouse. It’s a social time to meet other people and have fun in a comfortable setting. The group often has speakers and you know me – OK, maybe some of you don’t know me – but I jump at the chance to tell people about our nation’s oldest veterans. The meeting occurs at a local restaurant. 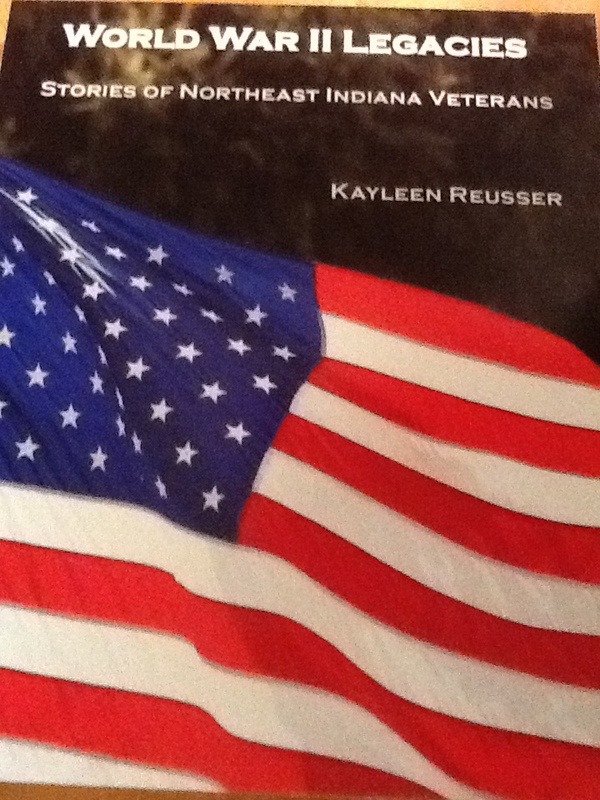 I’ve been told several people are interested in purchasing my book, WWII Legacies: Stories of Northeast IN Veterans. Copies will be available there. Copies are also available through this website. See the ‘Buy Now’ button on my home page. Then this evening at 6pm I’ve been asked by the manager of the Dupont library branch of Allen County Public Library to host a series of talks with World War II vets from the Fort Wayne area. These talks will be held the first Thursday night of each month (weather permitting). 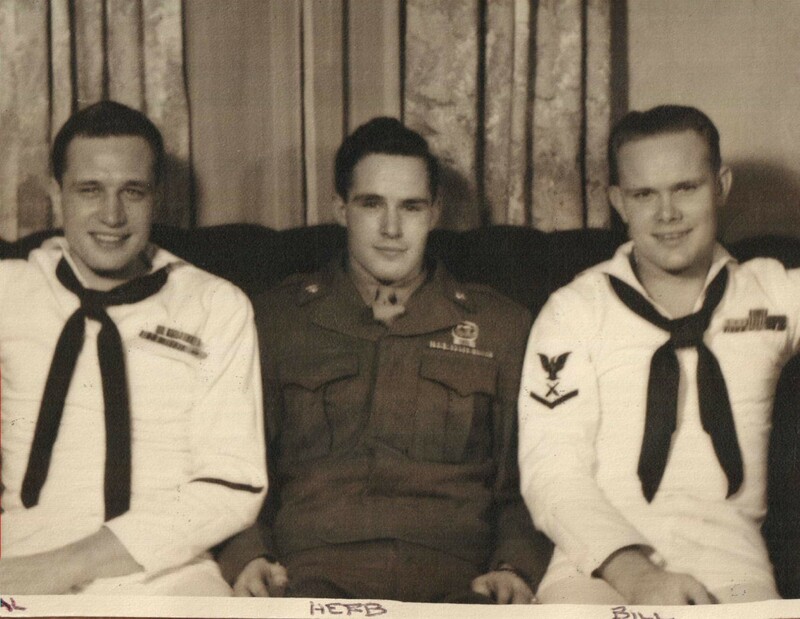 Al Edwards (left) and two brothers who also served in WWII– Herb (mid) and Bill. Tonight we’ll be honored to have Al Edwards as our main speaker. I met Al a few weeks ago when I interviewed him for a story in the News-Sentinel. The series runs every other Monday. Several stories from the series are still posted. Unfortunately, I don’t see Al’s story posted at their website or I would paste it here.. When the boats and troops reached the shore, the news was grimmer. “We put ramps down from our boats and saw dead GIs already on the beach,” he said. Edwards and other Allied troops spent three months in France, encountering shooting from the enemy troops and searching for mines embedded in the sand planted by German soldiers. in Auburn, Indiana. He’s informative and has his own story to share—both of which make a great combo! I hope you can make it tonight at 6pm to the Dupont library—536 E Dupont Rd, Fort Wayne IN 46825, 260.421.1315. Put it on your calendar to attend each of these meetings on the first Thursday of each month. You’ll be informed and appreciative of what our nation’s oldest vets did for our freedom! Always remember to tell a veteran thank you! You are performing a wonderful service by preserving their histories!